Blahound's blog: Do I like NFC? I have had my Nexus S since about march of 2012 but as much as I wanted to I had no way to actually try out NFC on my phone. 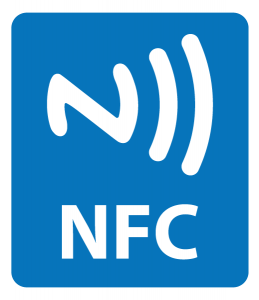 I didn't know anyone else that had an NFC enabled phone or any other NFC devices, Shops don't do NFC transactions in Ireland and I wasn't too interested in the idea of getting stickers shipped from America as there is always the risk of fees and delays due to customs. In the last month I've been able to finally test out NFC (Android Beam) due to having a Nexus 7 around the house and a friend getting a One X recently. I have only used NFC for sharing things between the devices but it is the easiest way I have ever found to share YouTube videos and Play store links with another device. All you have to do is hold the back of the two devices together and then tap the screen to complete the sharing. Its just so simple and smooth and as weird as it sounds fun.. we live in the future now. NFC would be pointless though if it didn't have such a low power footprint as it only functions to its full potential if you have it turned on 24/7 but thankfully it uses such a small amount of power there is no problem having it on 24/7.